Early Dutch sculpture is unfortunately still overshadowed by contemporary painting. This may be due to the fact that works of sculpture were affected to a greater extent by the iconoclasm of the 16th century than paintings that could be rescued more easily and had often been better protected (11f., 30). Attention has been directed towards some aspects of Utrecht's late Gothic sculpture in the past decades (11) and their importance has been obvious since at least 1994. 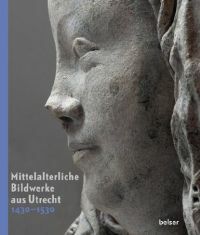 This catalog for the exhibition Made in Utrecht: Masterpieces of sculpture 1430-1530 is the first comprehensive attempt to display the sculpture of one of the most important art centers in the Northern Netherlands including its sphere of influence from the early 15th until the mid-16th century. Bram van den Hoven van Genderen gives an historical overview of the 15th and 16th centuries (16-29). Truus van Bueren (30-47), Jan Klinckaert (48-63), Henri Defoer (64-77, 88-91) and Marieke van Vlierden deal with the various groups of sculpture. Reinhard Karrenbrock dedicates his article to the export figures from Utrecht (128-139), while Tone Marie Olstad examines the well-preserved altars of the Leka Group (exported to Norway) from a technological point of view (78-87). 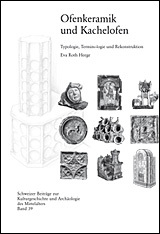 Sebastiaan Ostkamp provides an overview of printed clay sculpture in the Netherlands (108-121). The studies are complimented by contributions from the restorer's view by Hendrik Jan Tolboom, Wim Dubelaar and Bertil van Os (Avesnian Stone, 102-107), Michael Rief (wood sculpture technique, 140-145) as well as by Aleth Lorne and Annelies van Loon, who deal with the painting on stone sculptures (146-156). Issues concerning attribution and dating are discussed quite openly and controversially (57, 70f., 226; Cat. 4). The consistent use of a reference system within the volume makes it easier to compare different interpretations. The catalog entries list references and discuss questions about attribution in detail. Existing work groups are expanded and differentiated, and new ones identified. One might follow Steyaert's hint - referenced by van Vlierden and Leeflang - that the Adoration of the Magi (cat. 26) is a direct precursor to the work of Adriaen van Wesel. The closely related Strasbourg (Molsheim) epiphany (around 1450-60) suggests the composition must have been known since shortly after mid-century. The authors suggest a common, probably graphical model (226). The possibility of a graphical archetype seems unlikely given the fact that, although individual figures such as the Madonna and the middle king are very similar in terms of posture, their spatial orientation varies. However, identical ornament details not yet shown in the graphic, indicate a three-dimensional work of art as model. The stylistic references to the known but much later works by van Wesel (cat. 27ff.) are, however, amazing: the massive bulges over the eyebrows of the male figures for example, or the same type of face for the rear servant of the epiphany as for Augustus (cat. 27); also the oldest king and the Joseph of cat 29. Hence not only, as already accepted by some earlier researchers, the master of the Strasbourg adoration of the kings could have been a student of the Utrecht master, but the early and authoritative work from the van Wesel workshop might be preserved in the Utrecht adoration. Ostkamp dates the production at the Tolsteegport to the early 16th Century, due to the previously widely divergent dating of the pipe clay figurine production, and sees a similar phenomenon in Konstanz where he associates a stove tile that is (according to Nagel) dissimilar in terms of the clay and production technology to the figures manufactured at this site (123f.). Since attention was not paid to stratigraphic correlations when these complexes were discovered, association can only be assumed if the finds can be dated at about the same time due to type and style. The main part of the Utrecht material speaks for Ostkamp's second hypothesis of a secondary deposition in the embankment of the wall. John W. Steyaert: Laat-gotische beeldhouwkunst in de Bourgondische Nederlanden, Gent 1994. Gerald Volker Grimm: Pfeifentonfiguren aus Köln, in: Heilige, Spielzeug, Glücksbringer. Pfeifentonfiguren aus Köln, ed. by Gerald Volker Grimm and Tünde Kaszab-Olschewski, Weinstadt 2012, 5-15, esp. 8-11. Steyaert 1994 (as note 1), 288. Cf. W. von Bode / F. M. Volbach: Mittelrheinische Ton- und Steinmodel aus der ersten Hälfte des XV. Jahrhunderts, in: Jahrbuch der Königlich Preußischen Kunstsammlungen 39, 1918, 89-134, Pl. I.5, V.4, 6. Birgitta Nagel: Heilige in Serie. Eine technologisch-kunstwissenschaftliche Untersuchung, in: ALManach 1 (1996), 58-118, here 115-116. Thanks to Geoff Carver for correcting the translation.